Family article on husband and wife rights under Shariah Law. There are specific rights designated to Husband and Wife under Shariah Law. Overall, the rights cover the following categories: a) Exchange of rights between husband and wife; b) Husband’s rights on wife; and c) Wife right’s on husband. 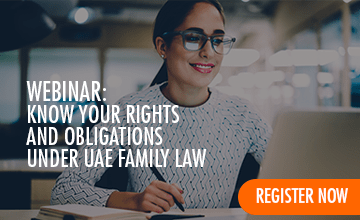 In the first category, defined as exchange of rights between husband and wife, Shariah law dictates that there should be respect, kindness and consideration towards the family and for them to work together in the best interest of the family. The Exchange of rights between husband and wife enforces the need to take care of children by educating them and giving them a fair chance to grow in a healthy environment. In the second category, defined as husband’s rights on wife, the husband is required to allow the wife to continue with her education and he should not prohibit her from visiting her family. He has no right to touch or interfere with her personal financial assets. He must not harm her physically or morally. This second category of Husband’s rights on Wife also applies when he is married to more than one wife, and he should treat each wife fairly. The third category defined as wife’s rights on her husband are defined through Shariah law and puts an obligation upon women to obey the husband and take care of the matrimonial home. Additionally, she should take care of the children. The rights defined above are only some of the rights and obligations as defined under Shariah Law. The relevant law, based upon Shariah Law, is Law No. 28 of 2005 which is the Personal Status Law (PSL). The above is sourced from Articles 54-56.